In hindsight, we should have probably seen this coming. After the successive release of some highly impressive EPs (2009’s Life of Leisure and High Times), post-shoegaze-chillwaver Washed Out aka Ernest Greene blesses us with Within and Without, his first full-length endeavor. Despite all the fuss surrounding the bloated chillwave genre and its imminent overexposure, Greene makes no apologies with this debut. Here he not only fits comfortably within the exalted heights of this smoky bedroom dreampop - but he offers the listener one of the lushest examples of ambient soundscape in recent memory. If the sprawling rebellious nature of Toro Y Moi is The Godfather of chillwave, then Washed Out, with it’s kinetic energy and fierce genre commitment, is undoubtedly Goodfellas. Within and Without lacks a centralized signature tune like Life of Leisure’s infectious “Feel It All Around”- which acted as that EP’s undisputed anchor. This time, Greene opts for a more cohesive model. While the tracks here do not necessarily flow together unbroken, each song builds into the next forming what feels like an all-encompassing wall of sound. This yields a collection of music that grows and matures with the listener during it’s running time. One of the album’s biggest rewards though is how this confidence works alongside its ambition. Countless amateur artists attempt and subsequently fail at creating a work as genuinely personal and respectfully distant as Within and Without. Also, It doesn’t hurt that Ernest Greene is one hell of a songwriter. The synths on opening tracks “Eyes Be Closed” and “Echoes” comfortably guide us along a soundscape both recognizable and fresh. Other songs like “Far Away” and “Before” are masterworks of lucid subtlety. 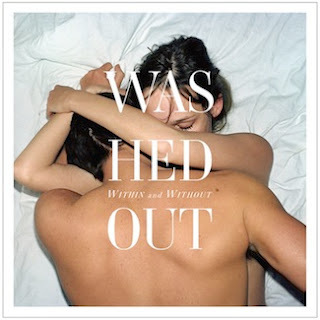 Oddly reminiscent of early 90s Duran Duran with a dash of Cut Copy via bong resin, Washed Out deserves all the praise it warrants for this intoxicating debut. But as mentioned before, we should have probably seen this coming. my musical appreciation acumen peaked in the mid 1980's as new order tore up the alternative charts with the awesome 'power corruption, & lies' as one of the most complete continually playable albums ever on several fronts - simultaneously being frisky, energetic, moody, inspiring, also downright depressing and despondent. coupled with the 12" blue monday (non-album single) from the same sessions, lots of future sounds spawned forth from these heady notes and power rythmns. the influences were mostly subliminal and subconscious as I still hear bits and pieces of that in random contemporary albums. this album reminds me of PC&L mostly in spirit as a transcendental quality in masterful song writing and production values permeate throughout. good stuff from he whom wasn’t there. this music may make you howl, gaze at night skies, maybe dream like a romantic fool, something remembered from long ago.